Add all ingredients into a blender and blitz together until smooth. 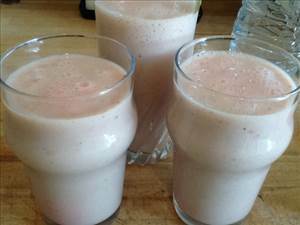 There are 191 calories in 1 serving of Banana & Strawberry Smoothie. Calorie Breakdown: 14% fat, 80% carbs, 5% prot.